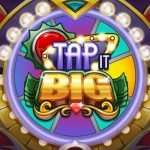 Big Fish Games’ Big Fish Casino (Android, iOS) is yet another one of those mobile casino games that mainly focus on slots, though other games such as blackjack, Texas Hold’em Poker, roulette, and others are among the others you can play. 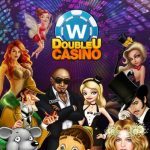 This is a free game where you can win in-game currency (not real currency, of course), as you place your bets, play the games, and compete with millions of other players from all over the world. And as Big Fish says, you’ll get a generous 100,000 free bonus chips if you’re a new player who downloads the game now. 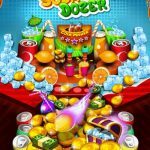 We’re not sure how long this offer would last, but if you’re planning to download the game and start gambling, we advise you to pause first and check the following Big Fish Casino tips and tricks. We want you to win big, and if you’re a beginner, we hope these tips could point you towards the right direction. While not really currency in the truest sense, Big Fish Casino also has chips and tickets, and here’s how you can earn more of these, as well as the game’s actual currency of gold. 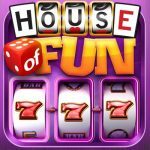 All you have to do is to login daily to the game, play the random game of the day, and win a specific number of chips. You will then use these chips to place larger bets and hopefully win bigger and better rewards. You can also connect your game to Facebook to get an extra 1,000 chips per friend you invite to play, with the cap set at 25,000 chips. You can also get free chips by logging in every 30 minutes or every four hours, or by watching advertisement videos. Lastly, you’ll also be getting more rewards if you connect your game to your email address or Twitter accounts. Next up, we’ll be discussing the ways in which you could get bonuses in this game. Experience points, or XP, are the permanent bonuses, and you’ll get them with most purchases in the chips store, or simply by playing/winning games and giving gifts. And as you gain XP, you can also level up to get new titles and enter games with higher stakes involved, among other things. Power-ups, on the other hand, are temporary boosts and are there to give you better odds of scoring on a bonus. You can buy power-ups in the in-app Gift Shop with your gold. 3. To Play Against Friends Or To Play Against Strangers? We won’t deny the fact that Big Fish Casino is a very social game. And regardless whether you prefer to play against real-life friends or strangers, it wouldn’t really matter as long as you invest a lot of time in the game and aren’t shy about accepting friend requests. If you can’t find a friend’s Big Fish code, you can search for friends by name by using the game’s Find Friends or Invite Friends features. Big Fish Casino Texas Holdem Poker has targeted me to make me loose just about every hand I play. It is a horrible game that goes after knowledgeable players in ways that can only be described unbelievable. Poker players beware, Big Fish Casino Texas Holdem will gut you and leave you to die !! !